French writer Gustave Flaubert said, “There is no truth. There is only perception.” Cynical, perhaps, but modern organizations live with that reality every day. If people perceive that a company is dishonest or more concerned with its bottom line than with public safety, the future of that business may be in jeopardy. On the other hand, when people perceive that a company operates with integrity and values long-term relationships more than short-term profits, the business may enjoy extraordinary customer loyalty and community support. Public relations (PR) strategies can help organizations shape public perception, gain or maintain approval, and achieve their goals. In this article, we will discuss how strategic public relations can help organizations grow and thrive, and explain what it takes to develop and execute a successful public relations plan. We will also hear from top PR experts about best practices and share examples of templates you can customize to create and manage your own PR strategies. Why Do Organizations Need Public Relations Strategies? What Is a Public Relations Plan? One reason for a lack of consensus is because the practice of public relations is dynamic and constantly evolving, influenced by technical innovations, shifting societal trends, and rapidly changing business needs. Furthermore, as part of that evolution, the clear lines that once separated public relations from other disciplines such as marketing, advertising, and public affairs are beginning to blur. According to the 2017 Global Communications Report from the Annenberg School for Communication and Journalism at the University of Southern California, almost half of PR professionals and more than 60 percent of marketing executives believe that marketing and PR will become more closely aligned in the next five years. Further, 87 percent of PR professionals believe that in five years the term “public relations” will no longer accurately describe the work they do. Given that, about half believe the practice of public relations should be more broadly de­fined, while the rest think the name should be changed to reflect the transformation currently underway in PR. Ultimately, of course, how you define public relations is less important than how it’s used to help an organization succeed. Public relations is as old as human civilization. One of the earliest physical artifacts of public relations is a 4,000-year-old clay tablet, discovered in Iraq, which was meant to persuade Sumerian farmers to adopt agricultural practices that would help them grow better crops. Although that ancient clay tablet is the oldest evidence of public relations we’ve actually found, it’s almost certain that PR has its roots somewhere in the misty millennia that predate recorded history. Once people stopped trying to settle every question with force and started trying to achieve their goals through negotiation, consensus building, and shaping public perception, PR was born. Bernays, a nephew of psychoanalyst Sigmund Freud, is credited with coining the term “public relations.” In 1923, he wrote Crystallizing Public Opinion, the first book outlining the practice of public relations, and taught the first-ever college course on PR at New York University. Bernays pioneered the use of psychology, sociology, and other social sciences in designing persuasive public relations campaigns to help his corporate, political, and nonprofit clients achieve their goals. Lee, a former journalist, developed many of the principles and techniques that PR professionals continue to follow today. He believed in open communication with the media, understood that positive publicity was the result of good corporate performance, and felt that PR professionals have a responsibility to the public as well as their clients. Lee believed that the only way for an organization to win public understanding and support was to tell its story honestly and accurately. One of Lee’s most famous clients was the Pennsylvania Railroad, which had hired him to improve the company’s public image. One incident, in particular, highlights the validity of Lee’s approach to public relations. When a three-car passenger train owned by the Pennsylvania Railroad derailed while crossing a new bridge across Thoroughfare Creek near Atlantic City in 1906, 53 people drowned. Rather than attempt to cover up or minimize the incident, Lee convinced railroad officials to invite reporters to the accident site, answer their questions, and openly disclose information before rumors started circulating and ended up in print. He also issued what many consider the first press release, detailing all the known facts of the accident. The New York Times was so impressed by Lee’s integrity and the candor of the statement that they chose to print it word-for-word. Public relations really started to come of age as a powerful tool between the two world wars and increasingly after World War II. The CPI was so successful that Wilson continued using a variety of PR tactics to promote his policies after the war ended. President Franklin D. Roosevelt followed a similar strategy during the 1930s when he needed to sell Depression-era Americans on the benefits of his New Deal. Roosevelt launched a PR campaign that blamed corporations for the country's economic problems. Many companies responded by hiring PR agencies or creating in-house departments to defend themselves and try to regain public support. 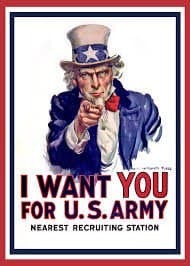 Later, as World War II approached and storm clouds began to gather over Europe and the Pacific, the Roosevelt administration created the Office of War Information, which organized one of the largest public relations campaigns in history to muster support for America’s entry into the war. During these years, public relations was also gaining a solid foothold in corporate America. Successful PR campaigns like those waged by Arthur W. Page, a pioneer in corporate public relations, captured the attention of business leaders everywhere. Hired as vice president of public relations at AT&T in 1927, a position he would hold for the next 20 years, Page faced a daunting challenge. AT&T was experiencing public backlash, largely due to its efforts to monopolize telephone communications, and research showed that 90 percent of the company’s media coverage throughout the early 1990s was negative. After AT&T changed some of its business practices, Page launched a carefully orchestrated PR campaign to highlight those changes, reposition the company as a public utility, and nurture appreciation for its contributions to society. Negative press coverage quickly dropped to 60 percent and continued to improve. By the mid-1940s, a rapidly growing number of companies were relying heavily on their PR representatives for counsel and guidance — just as they relied on their attorneys, accountants and other professionals with specialized knowledge and skills. Business and Consumer Communications: Many organizations develop public relations strategies for business-to-business (B2B) and business-to-consumer (B2C) communication. The goal may be to strengthen a company’s position in the market, support and lay the groundwork for a new product launch, or other objectives. Internal Communications: It’s important to keep employees informed about company policies, initiatives, and marketing strategies. Through transparency and open communication, organizations inspire trust and respect among their employees. If the business ever faces a crisis or becomes the target of unfair criticism, such employees are more likely to be company advocates. Corporate Citizenship and Community Outreach: Organizations are increasingly sensitive to their role in the local communities where they do business, and many now have public relations strategies designed to showcase their social responsibility, philanthropy, ethical business practices, and environmental initiatives. Crisis Management: When issues arise, the organization involved must be able to quickly assess the situation, provide accurate information, and take the necessary actions to protect both the business and the public interest. Having a crisis plan in place that can be easily modified to address a specific issue is often the difference between weathering the storm and sinking. A strategic public relations plan is “a roadmap to take you from where you are to where you want to be,” says Mary Meagher, President of The Meagher Group, a Washington, D.C.-based public affairs firm that offers clients a unique blend of political, business, and communications experience. According to Meagher, organizations need public relations strategies for the same reason they need marketing, sales, and product-development strategies — because the desired outcome is too important to leave to chance. There are many types of public relations plans. Some are short-term and may focus on a single goal, such as getting positive media coverage of the keynote address your CEO delivers at a major industry event. Other PR plans are more comprehensive and designed to help an organization achieve its core business goals. 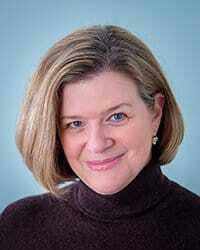 Those short-term plans often become key components of an organization’s broader PR strategy. 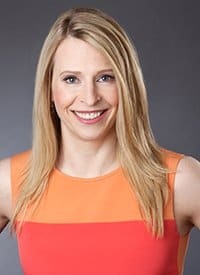 According to Keyes, who managed global PR and marketing campaigns at Microsoft before starting her business, organizations need to think of public relations as a long-term strategy. “I think it’s important to have a master plan that you’re working on all the time, and it needs to be agile so you can quickly adapt to new information and opportunities as things change,” she explains. Public relations timelines, even for those master PR plans, can vary. Keyes says larger organizations often have PR plans that cover an entire year. Conversely, a small business may have a plan that is designed to help them move forward during the current quarter. During each of those three months, they try different PR initiatives, sometimes weekly, and then assess their results and develop a new plan for the next quarter. Before you start crafting your strategic PR plan, you need to do your due diligence to reveal past pitfalls and how to overcome them and help anticipate potential roadblocks in the future. Assess Your Current Situation: Determine what needs to change or improve, and identify positive elements you can build on. Survey the Landscape: Identify any industry, economic, or societal trends to take into account. For example, if the news is full of consumer concerns about a recent breach of electronic health records, it could affect the kind of PR plan a healthcare organization develops. Discover Data: Stats and other information gleaned from research can help you develop and differentiate your message. Identify Timelines: This also includes milestones, event schedules, or deadlines you need to consider to develop your plan. Be Realistic: Stick to a budget, staff appropriately, and determine achievable goals. To get started setting a realistic budget, this PR template can help. After all, you won’t be able to achieve your goals if you don’t have the means to finance the tactics necessary. Strategic public relations always begins with clear goals and objectives. Knowing the results you want will guide the other steps of the PR planning process by helping you determine which audiences you need to reach, and which messages and tactics are most likely to help you achieve your goals. Think about the audiences you should be targeting for the goals you have in mind. Who do you need to engage and influence to accomplish those goals? Choosing the right PR strategies will depend on a clear understanding of your objectives and target audiences. People often confuse public relations strategies and PR tactics, but there’s a big difference. Strategies are general approaches to achieving objectives. Tactics are the day-to-day activities an organization implements to carry out each strategy. If a company plans to complete a successful IPO by the end of the year, one of its objectives may be to raise the CEO’s profile among potential investors. Strategies to help the company achieve that objective might include booking the CEO as a featured speaker at industry events attended by target audiences and placing bylined articles in trade publications and widely read blogs to establish the CEO as an industry thought leader. The tactics that support each of those strategies will be the individual tasks required to secure the speaking engagements, produce and publish the articles, and promote both. Design your key messages not only to educate and inform, but also to change people’s perceptions or compel them to take action. These messages should be direct and to the point. Develop key messages for each of your objectives and target audiences. Data can help you shape, support, and differentiate your key messages; however, it may be just as important to find the stories at the heart of your public relations strategy. Use your knowledge of your goals, target audiences, and key messages to identify the best tactics for your PR plan. Your PR plan may include various tactics across multiple platforms and channels from traditional media relations (pitching stories to the press), social media, PR events, digital storytelling, and more. It’s also a good idea to develop multiple tactics for each objective and target audience, because no matter how carefully you research and plan you can’t be certain a particular tactic will work. In addition, make sure your tactics accurately reflect the image you want people to have of your organization. Technology offers many new ways for organizations to target audiences and deliver messages. It also creates opportunities to turn audiences into advocates. “Part of a good PR plan is figuring out how to influence other influencers and enlist their support,” Meagher says. “In the skeptical world of today, it’s important to combine direct communication and third-party endorsers who can amplify your message, give it greater validity and, in certain channels, carry more weight than you can when you’re trying to deliver that message directly. How will you know if your PR plan succeeds? Before implementing your plan, establish success metrics or key performance indicators (KPIs) to measure progress and achievements. 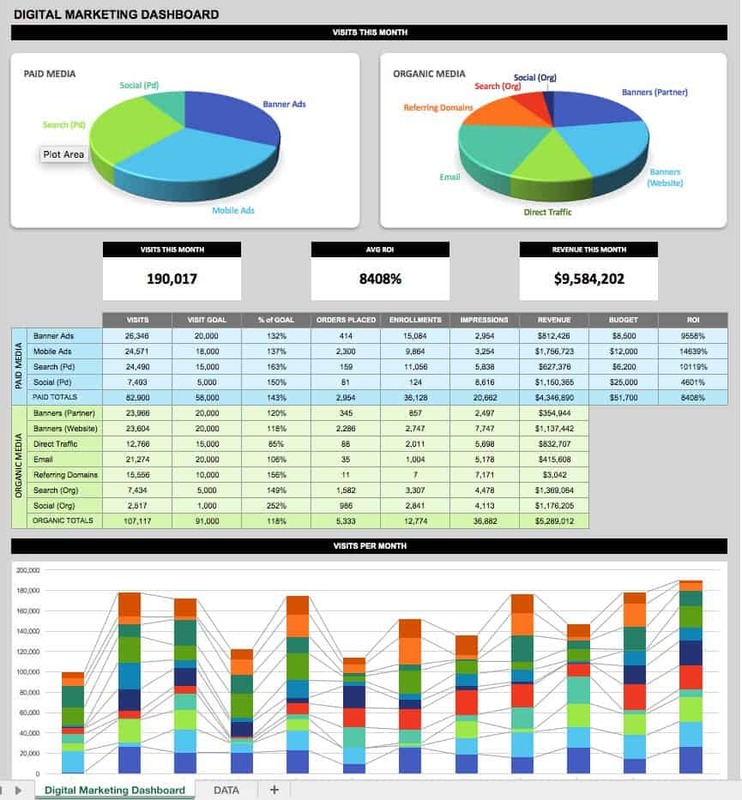 A template can help you identify and track metrics that can provide insight into how well your PR strategy is working. The Barcelona Declaration of Measurement Principles, initially adopted by the Institute for Public Relations in 2010 and updated five years later, are the first overarching framework for effective public relations and communication measurement. The guidelines they offer are useful, but it’s really up to each organization to determine how to measure success. 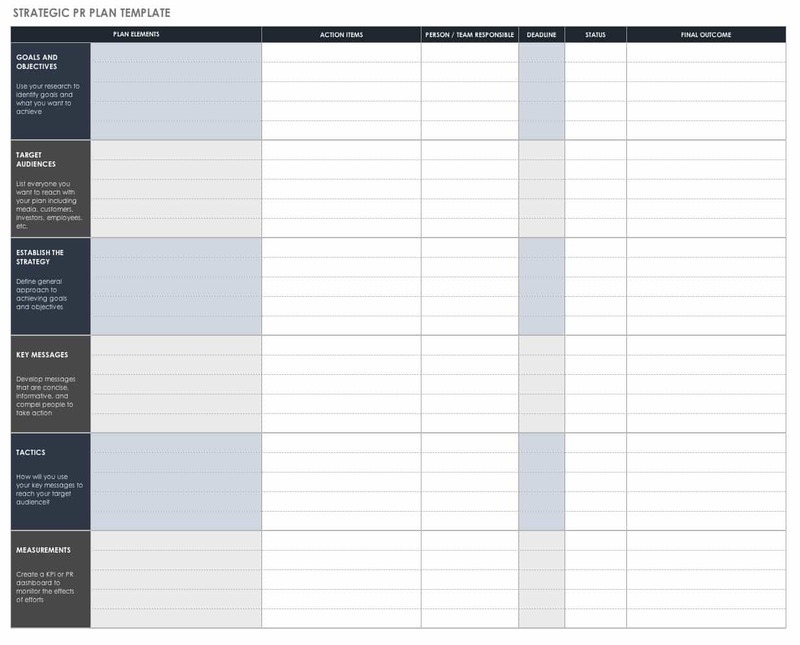 Now, that you know what it takes to create a strategic PR plan, get started making your own with this template. Public relations strategies can also be helpful for organizations developing a content strategy and an SEO plan. Strategic public relations help to build a more successful content strategy by ensuring content is closely aligned with brand and business objectives, and by amplifying each piece of content so that it reaches more members of your target audience. Public relations can also help to advance and support a more successful SEO strategy for organizations by creating great content, placing it in key publications, and generating links to your company website and blogs. Two years ago John Hall, CEO of content marketing agency Influence & Co, declared the traditional press release dead and said that the future of PR was in strategies like thought leadership, content amplification, online reputation management, and an increased use of paid content promotion and social ads. Because of the dynamic nature of the industry, public relations has evolved to embrace communication tools and trends such as digital storytelling, social listening, and big data. Public relations is now poised to incorporate new technologies such as virtual reality and artificial intelligence. Forward-thinking organizations and PR professionals will continue to stay abreast of new developments and take advantage of new opportunities. PR strategies have many moving parts and professionals not only need a way to manage and meet deadlines, but also measure the effectiveness of their campaigns. Smartsheet is a work management and automation platform that enables enterprises and teams to get from idea to impact - fast. 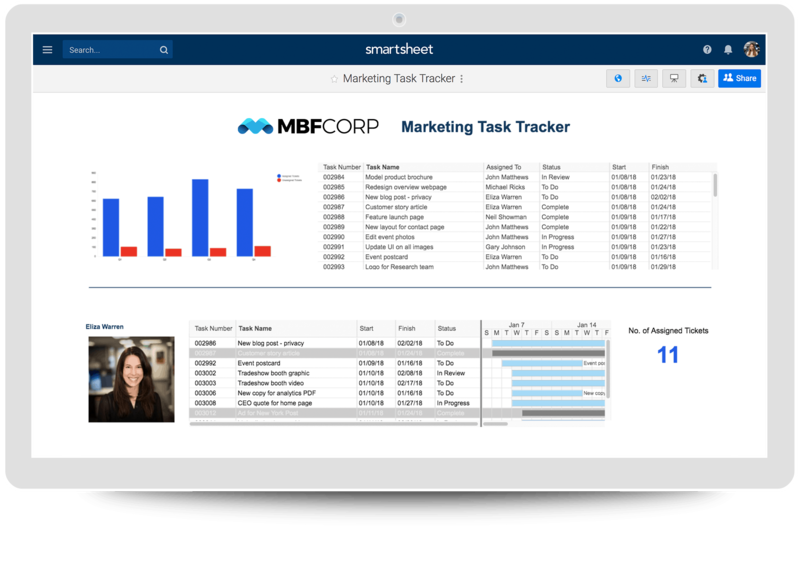 Extraordinary marketers rely on Smartsheet for campaign management, initiative tracking, content calendars, event management, and more. Discover how Smartsheet can help maximize your marketing efforts, today.